1. Identify your various responsibilities—both income-generating and operational—and set clear goals for each. 2. Make time to work on your business. It’s easy to get lost in the daily grind. Be sure to dedicate time each week to consider market trends and potential opportunities, and perform some strategic, long-term planning. 3. Bring on help. 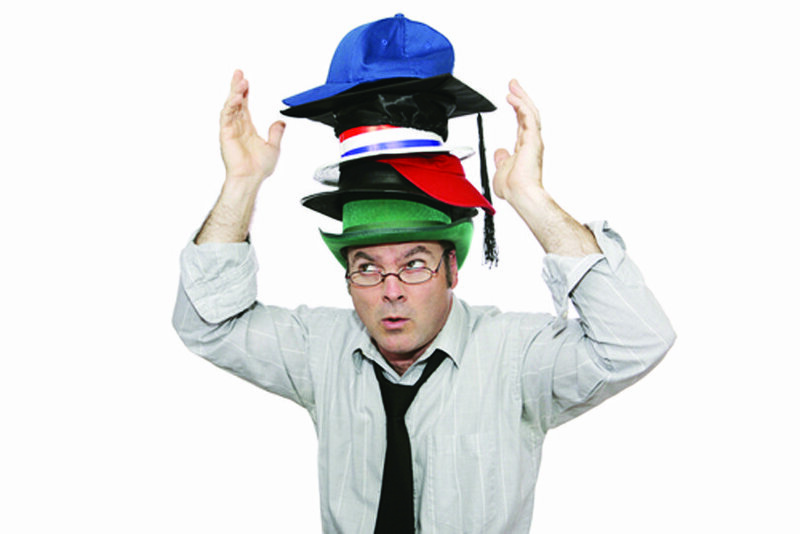 Many business owners end up wearing multiple hats because they wait too long to hire additional staff. While labor may be one of your higher costs, skimping on staff can have a detrimental effect on your business. 4. Empower those around you to do more. In the long run, you’ll have a more effective and capable workforce, and you’ll be better able to focus on the strategic aspects of your business. 5. Always stay close to the customer no matter how big your business gets. It’s the best way to stay on top of the market, your customers’ needs, and how your company is doing.